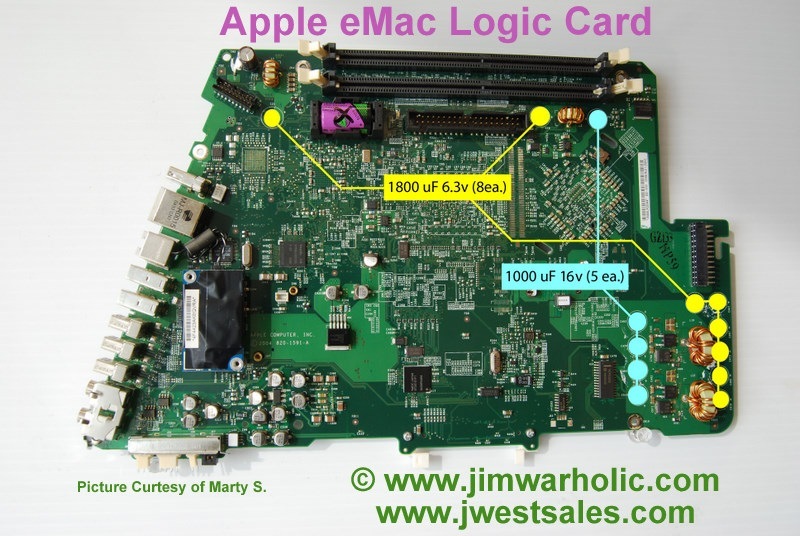 This was an email from Marty S., who wrote, "Just wanted to let you know that there are bad caps on Apple G4 eMac logic boards. There were 5 different models, and I think there were only slight differences between the logic boards. The one in the photo is Apple part # 820-1591-A, from a 1.25 GHz system. Needs 5 units of 1000 uF 16v, and 8 units of 1800 uF 6.3v. One happy aspect that these are pre-RoHS machines, which means you can actually get the failed caps out without a struggle." Thank you Marty for the information, and the insight about the standard solder. I have the high quality, low ESR cap kits available for sale at www.jwestsales.com. 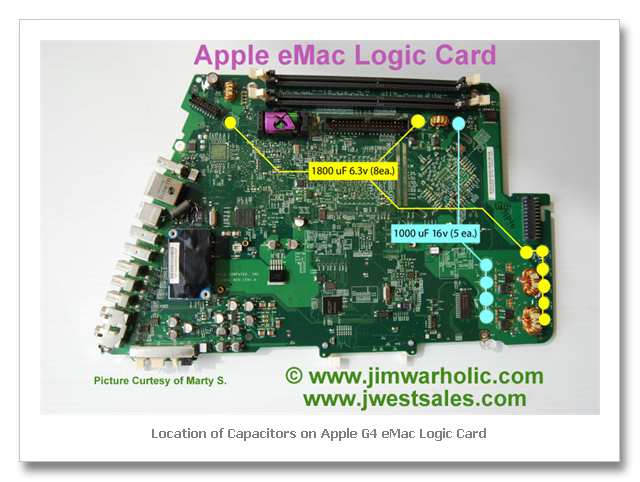 Order your Apple eMac Capacitor Kit here.